"Since salvation is offered to all, it must be made concretely available to all." In his Encyclical Letter Redemptoris missio, Pope John Paul II explained that, "The universality of salvation means that it is granted not only to those who explicitly believe in Christ and have entered the Church. Since salvation is offered to all, it must be made concretely available to all. But it is clear that today, as in the past, many people do not have an opportunity to come to know or accept the gospel revelation or to enter the Church. The social and cultural conditions in which they live do not permit this, and frequently they have been brought up in other religious traditions. For such people salvation in Christ is accessible by virtue of a grace which, while having a mysterious relationship to the Church, does not make them formally part of the Church but enlightens them in a way which is accommodated to their spiritual and material situation. This grace comes from Christ; it is the result of his Sacrifice and is communicated by the Holy Spirit. It enables each person to attain salvation through his or her free cooperation. For this reason the Council, after affirming the centrality of the Paschal Mystery, went on to declare that 'this applies not only to Christians but to all people of good will in whose hearts grace is secretly at work. Since Christ died for everyone, and since the ultimate calling of each of us comes from God and is therefore a universal one, we are obliged to hold that the Holy Spirit offers everyone the possibility of sharing in this Paschal Mystery in a manner known to God.'" Those who insist that only baptized Roman Catholics may be saved are simply in error. Such people forget that the Church is necessary for salvation only by divine institution and not by intrinsic necessity. Therefore, membership in the Church is not required of all men under all circumstances. This is the authoritative teaching of the Magisterium as found in the Catechism of the Catholic Church, No. 1257: "The Lord himself affirms that Baptism is necessary for salvation. He also commands his disciples to proclaim the Gospel to all nations and to baptize them. Baptism is necessary for salvation for those to whom the Gospel has been proclaimed and who have had the possibility of asking for this sacrament. The Church does not know of any means other than Baptism that assures entry into eternal beatitude; this is why she takes care not to neglect the mission she has received from the Lord to see that all who can be baptized are 'reborn of water and the Spirit.' God has bound salvation to the sacrament of Baptism, but he himself is not bound by his sacraments." And 1260 teaches us that, "Since Christ died for all, and since all men are in fact called to one and the same destiny, which is divine, we must hold that the Holy Spirit offers to all the possibility of being made partakers, in a way known to God, of the Paschal mystery. Every man who is ignorant of the Gospel of Christ and of his Church, but seeks the truth and does the will of God in accordance with his understanding of it, can be saved. It may be supposed that such persons would have desired Baptism explicitly if they had known its necessity." Those who insist that it is their role to "correct" the Church are merely puffed up with pride. As the Holy Office explained to Archbishop Cushing in a letter dated August 8, 1949, "The infallible dictum which teaches us that outside the Church there is no salvation, is among the truths that the Church has always taught and will always teach. But this dogma is to be understood as the Church itself understands it. For Our Savior did not leave it to private judgment to explain what is contained in the deposit of faith, but to the doctrinal authority of the Church." The doctrinal authority of the Church. Not followers of a priest who was excommunicated for disobedience or a priest in Fitchburg who offers the Traditional Latin Mass. The Holy Office explained to Archbishop Cushing that, "Of those helps to salvation that are ordered to the last end only by divine decree, not by intrinsic necessity, God, in his infinite mercy, willed that such effects of those helps as are necessary to salvation can, in certain circumstances, be obtained when the helps are used only in desire or longing. We see this clearly stated in the Council of Trent about the sacrament of regeneration and about the sacrament of penance.."
"..the task of authentically interpreting the word of God, whether written or handed on, has been entrusted exclusively to the living teaching office of the Church, whose authority is exercised in the name of Jesus Christ. This teaching office is not above the word of God, but serves it, teaching only what has been handed on, listening to it devoutly, guarding it scrupulously and explaining it faithfully in accord with a divine commission and with the help of the Holy Spirit, it draws from this one deposit of faith everything which it presents for belief as divinely revealed. It is clear, therefore, that sacred tradition, Sacred Scripture and the teaching authority of the Church, in accord with God's most wise design, are so linked and joined together that one cannot stand without the others, and that all together and each in its own way under the action of the one Holy Spirit contribute effectively to the salvation of souls." If we believe it is our role to "correct" the Lord Jesus Who teaches us through His Church, through the Custodian of the Deposit of Faith - the Magisterium of the Church - then we have succumbed to a level of pride which can only be described as satanic. "In the late 1940s Leonard Feeney, S. J. began to teach that there is no salvation outside the Church. He was correct in saying that there were official teachings, even definitions, on that score. But his tragic error came when he adopted Protestant method, thinking that in that way he would be one of the only true Catholics! We spoke of his protestant method with good reason. First, he was excommunicated for disobedience, refusing to go to Rome to explain his position. Then the Holy Office, under Pius XII, sent a letter to the Archbishop of Boston, condemning Feeney's error. (It is known that Pius XII personally checked the English text of that letter). In the very first paragraph pointed out what is obvious: we must avoid private interpretation of Scripture - for that is strictly Protestant. But then the letter said we must also avoid private interpretation of the official texts of the Church. To insist on our own private interpretation, especially when the Church contradicts that, is pure Protestant attitude. What the disobedient Feeney said amounted to this: he insisted that all who did not formally enter the Church would go to hell. Hence he had to say, and he did say, that unbaptized babies go to hell. Further, all adults who did not formally enter the Church - get their names on a parish register - would also go to hell, even if they never had a chance to hear there was a Church, e.g., those in the western hemisphere during the long centuries before Columbus. Therefore Feeney consigned literally millions upon millions to hell, even though He gave them no chance. Not just the documents of the Church as interpreted by the Church should have kept him from this: merely common sense, and the realization that God is not only not a monster, but is infinitely good - that alone should have stopped him. We have, then, most ample reason for calling his error tragic. Even the sexually immoral do not deny that God is good. Feeney does worse than they." (Fr. William Most, The Tragic Errors of Leonard Feeney, full article at the EWTN website - here). In an editorial for LifeSiteNews.com entitled "The Kennedy Funeral - A Golden Opportunity or Capitulation for the Catholic Church," John-Henry Westen wrote: "Saturday's grandiose Catholic funeral for Senator Ted Kennedy has the potential to be a scandal that will make Notre Dame's Obama Day a walk in the park. With all four living former Presidents in attendance and an address from President Barack Obama, the funeral is set to be a royal crowning, right inside a Catholic Church, of a man who betrayed the most fundamental moral teachings of the faith. What example will this give to Catholics and the rest of the world looking in? It will surely belie the Catholic teachings on the sanctity of life and sexuality. 'Surely,' they will say, 'if one of the most vociferous proponents of abortion and homosexuality in politics is so feted in the Church, the Church cannot possibly regard abortion as murder.' Would anyone so honor one who so advocated what the church officially considers an 'unspeakable crime'?" "We must, as a matter of precept, pray for the salvation of heretical Catholics like Senator Edward Kennedy, but we do not have to praise him let alone extol him with the full honors of a public Catholic funeral and all the adulation that attends such an event. 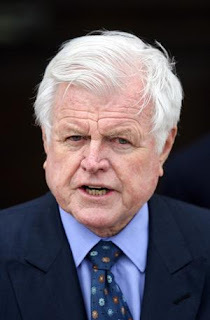 There was very little about Ted Kennedy's life that deserves admiration from a spiritual or moral point of view. He was probably the worst example of a Catholic statesman that one can think of. When all is said and done, he has distorted the concept of what it means to be a Catholic in public life more than anyone else in leadership today. Obviously we don't know the state of Senator Edward Kennedy's soul upon death. We don't pretend to. We are told by the family that he had the opportunity to confess his sins before a priest, and his priest has said publicly he was "at peace" when he died. For that we are grateful. But it is one thing to confess one's sins and for these matters to be kept, rightfully, private. It is another thing entirely for one who so consistently and publicly advocated for the destruction of unborn human beings to depart the stage without a public repudiation of these views, a public confession, as it were. It is up to God to judge Senator Kennedy's soul. We, as rational persons, must judge his actions, and his actions were not at all in line with one who values and carefully applies Church teaching on weighty matters. Ted Kennedy's positions on a variety of issues have been a grave scandal for decades, and to honor this "catholic" champion of the culture of death with a Catholic funeral is unjust to those who have actually paid the price of fidelity. 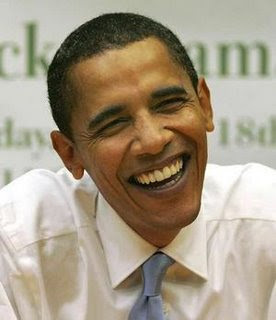 We now find out that President Obama will eulogize the Senator at his funeral, an indignity which, following on the heels of the Notre Dame fiasco, leaves faithful Catholics feeling sullied, desecrated and dehumanized by men who seem to look for opportunities to slap the Church in the face and do so with impunity simply because they have positions of power. It is not enough for Kennedy to have been a "great guy behind the scenes" as we have seen him referred to even by his political opponents. It is also not praiseworthy to put a Catholic rhetorical veneer on his leftist politics that did nothing to advance true justice as the Church sees it or to advance the peace of Christ in this world. Every indication of Senator Kennedy's career, every public appearance, every sound bite showed an acerbic, divisive and partisan political hack for whom party politics were much more infallible than Church doctrines. Whatever one's political affiliation, if one is only "Catholic" to the extent that his faith rhymes with his party line, then his Catholicism is a fraud. As the Scriptures remind us, there is a time for everything under the sun. This, now, is the time for honesty about our Faith and about those who are called to express it in the public forum. If we do not remind ourselves of the necessity of public confession for public sins such as Senator Kennedy was guilty of, then we are negligent in our embrace of the Faith and we are part of the problem. As Pope Benedict has reminded us recently, charity without truth can easily become mere sentimentality, and we must not fall into that error. A Catholic show of charity for the family must not eclipse the truth that is required of all with eyes to see and ears to hear. Senator Kennedy needs to be sent to the afterlife with a private, family-only funeral and the prayers of the Church for the salvation of his immortal soul. He will not be missed by the unborn who he betrayed time and time again, nor by the rest of us who are laboring to undo the scandalous example of Catholicism that he gave to three generations of Americans." But there was no such honesty at Senator Kennedy's funeral. Instead, the homilist implied that the late Senator lived up to the demands of Matthew 25: 31-46 and that he lived in "a far more complex world" than that in which Jesus lived. What else is this but excuse for apostasy? How often have we heard someone who doesn't want to live up to the Gospel's demands proclaim, "Yes, but life was much simpler in Jesus' day....things are much more complicated today." But the teaching of the Catholic Church is clear and accepted by those who haven't apostasized: "For God, the Lord of life, has conferred on men the surpassing ministry of safeguarding life in a manner which is worthy of man. Therefore from the moment of its conception life must be guarded with the greatest care while abortion and infanticide are unspeakable crimes." (Gaudium et Spes, No. 51). What could have been, what should have been, a teaching moment for all, has instead become an occasion of scandal. And a dark reminder of just how far the apostasy has spread. A proposed bill would give President Obama "emergency" control of the internet. See here. Is there really any doubt that such after such legislation is passed, an "unexpected emergency" would require the President to exercise such control? Obama's FCC "Diversity Czar" Mark Lloyd has praised Hugo Chavez for shutting down dissenting media: See here. This is the same man who wrote, '...blind references to freedom of speech or the press serve as a distraction from the critical examination of other communications policies." (Prologue to a Farce: Communication and Democracy in America, p. 20). There is an eerie similarity with Nazi Germany. The proposed bill which would grant Obama "emergency" control of the internet reads, "The President...in the event of an immediate threat to strategic national interests involving compromised Federal Government or United States critical infrastructure information system or network...may declare a cybersecurity emergency; and...if the President finds it necessary for the national defense and security, and in coordination with relevant industry sectors, direct the national response to the cyber threat and the timely restoration of the affected critical infrastructure information system or network..."
I'm sure restoration would be "timely." But what would the internet look like after being "restored"? We have reason to be concerned given Mark Lloyd's attitude toward free speech. 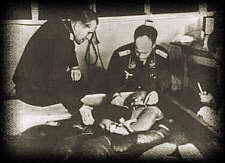 Under Erich Scholz, Minister of the Interior for the Third Reich, the Reich Broadcasting Corporation became nothing but a propaganda tool where dissenting ideas which were deemed dangerous or "degrading" were simply excluded. In the words of Erich Scholz, "The German radio serves the German people. That which degrades the German people is excluded from German radio." And who decided what would "degrade the German people"? Three guesses baby. As I said last year, the Democratic Party has been hijacked by Socialists. And make no mistake about it, these socialists are waiting for the most opportune moment to overthrow this government and to install a tyrannical regime. It was Pope John Paul II who reminded us that, "..the fundamental error of socialism is anthropological in nature. Socialism considers the individual person simply as an element, a molecule within the social organism, so that the good of the individual is completely subordinated to the functioning of the socioeconomic mechanism. Socialism likewise maintains that the good of the individual can be realized without reference to his free choice, to the unique and exclusive responsibility which he exercises in the face of good or evil. Man is thus reduced to a series of social relationships, and the concept of the person as the autonomous subject of moral decision disappears, the very subject whose decisions build the social order. From this mistaken conception of the person there arise both a distortion of law, which defines the sphere of the exercise of freedom, and an opposition to private property. A person who is deprived of something he can call 'his own,' and of the possibility of earning a living through his own initiative, comes to depend on the social machine and on those who control it. This makes it much more difficult for him to recognize his dignity as a person, and hinders progress toward the building up of an authentic human community." (Centesimus Annus, No. 13). "Socialism is a philosophy of failure, the creed of ignorance, and the gospel of envy, its inherent virtue is the equal sharing of misery." - Winston Churchill. "Democracy and socialism have nothing in common but one word, equality. But notice the difference: while democracy seeks equality in liberty, socialism seeks equality in restraint and servitude." - Alexis de Tocqueville. "Socialism in general has a record of failure so blatant that only an intellectual could ignore or evade it." - Thomas Sowell. Related reading: Some are just now expressing concern over Obama's plan for a Civilian National Security Force. But a few of us were exposing this last year. Read here. UN Committee Asserts Special Rights for "Sexual Orientation and Gender Identity." "A UN human rights committee recently told UN member states they must grant broad new human rights on the basis of 'sexual orientation and gender identity' by making sweeping changes to to their national laws, policies, and changing practices and attitudes within families and cultural institutions, or else they will be in 'violation' of their obligations under international law." As I explained in a previous post, the homosexual hate movement has nothing to do with civil rights. It is, rather, an attempt to impose a moral revolution. Writing in the Chicago Free Press, even homosexual activist Paul Varnell admitted this. He wrote, "The fundamental controverted issue about homosexuality is not discrimination, hate crimes or domestic partnerships, but the morality of homosexuality. Even if gays obtain non-discrimination laws, hate crimes law and domestic partnership benefits, those can do little to counter the underlying moral condemnation which will continue to fester beneath the law and generate hostility, fuel hate crimes, support conversion therapies, encourage gay youth suicide and inhibit the full social acceptance that is our goal. On the other hand, if we convince people that homosexuality is fully moral, then all their inclination to discriminate, engage in gay-bashing or oppose gay marriage disappears. Gay youths and adults could readily accept themselves. So the gay movement, whether we acknowledge it or not, is not a civil rights movement, not even a sexual liberation movement, but a moral revolution aimed at changing people's view of homosexuality." (Paul Varnell, "Defending Our Morality," Chicago Free Press, Aug 16, 2000, http://indegayforum.org/authors/varnell/varnell37.html. Why is this assertion by a UN human rights committee especially troubling for Christians? Because, as explained here, the International Criminal Court (ICC) could eventually be used to try "the Pope and other religious leaders" - and Christians in general - who oppose abortion and homosexuality. In an interview with the Louisville Courier-Journal, U.S. Department of Homeland Security Secretary Janet Napolitano said that the threat of domestic terrorism is receiving ever more attention by her agency. And what exactly does Ms. Napolitano mean by "domestic terrorism"? See here and here. Is there really any doubt that "ideologically unwanted" individuals will soon be listed as "Domestic Terrorists"? Dr. John Holdren, advisor to President Obama for Science and Technology, Director of the White House Office of Science and Technology Policy, and Co-Chair of the President's Council of Advisors on Science and Technology (PCAST), co-authored a book with Paul Ehlrich entitled "Ecoscience" in which he recommended that, "A transnational 'Planetary Regime' should assume control of the global economy and also dictate the most intimate details of Americans' lives -- using an armed international police force." We are witnessing a slow, steady takeover of our true freedoms. We are becoming a socialist nation, and whoever can’t see this is probably hoping it isn’t true. If we permit Mr. Obama to take over all our industries, if we permit him to raise our taxes to support unconstitutional causes, then we will be in default. This great America will become a paralyzed nation." (See here). "Death comes for us all, My Lord... even for kings." - Sir Thomas More to the Chief Justice, "A Man for all Seasons." A part of the Senator's legacy which cannot be forgotten or ignored: see here and here and most importantly here. he may be refreshed among the Saints and Elect. "My Church will be shaken by the violent wind of apostasy and unbelief, as he who sets himself against Christ will enter into its interior, thus bringing to fulfillment the horrible abomination which has been prophesied to you in Holy Scripture. Humanity will know the bloody hour of its chastisement: it will be stricken with the scourge of epidemics, of hunger and of fire; much blood will be spilt upon your roads; war will spread everywhere, bringing down upon the world incommensurable devastation...You, my poor children, must all bear the weight of great sufferings and of unspeakable sorrows, so that the great miracle of divine justice and mercy may be manifest to all..."
Some left comments at this Blog accusing me of being "doom and gloom" and an alarmist. But now an Obama panel is saying that the Swine flu (H1N1) may kill 90,000 and hospitalize 1.8 million. And suddenly the talking hairdos and "experts" have gone mute. Pride always goes before a fall. * See here for why this is problematic. "After the year 1900, toward the middle of the 20th century, the people of that time will become unrecognizable. When the time for the Advent of the Antichrist approaches, people's minds will grow cloudy from carnal passions, and dishonor and lawlessness will grow stronger. Then the world will become unrecognizable. People's appearances will change, and it will be impossible to distinguish men from women due to their shamelessness in dress and style of hair. These people will be cruel and will be like wild animals because of the temptations of the Antichrist. There will be no respect for parents and elders, love will disappear, and Christian pastors, bishops, and priests will become vain men, completely failing to distinguish the right-hand way from the left. At that time the morals and traditions of Christians and of the Church will change. People will abandon modesty, and dissipation will reign. Falsehood and greed will attain great proportions, and woe to those who pile up treasures. Lust, adultery, homosexuality, secret deeds and murder will rule in society." "This church confesses the Triune God, Father, Son, and Holy Spirit. The canonical Scriptures of the Old and New Testaments are the written Word of God. Inspired by God's Spirit speaking through their authors, they record and announce God's revelation centering in Jesus Christ. Through them God's Spirit speaks to us to create and sustain Christian faith and fellowship for service in the world." And what does the word of God, inspired by God's Spirit, have to say about homosexuality? Among other things, that complementarity of sexes reflects God's inner unity (Genesis 1: 27); that homosexual acts are an abomination (Leviticus 18: 22); that such acts are unnatural, shameful, and a perversity (Romans 1: 27); and that active homosexuals - which is what the ELCA is condoning - will not inherit the Kingdom of God (1 Corinthians 6: 9). Imagine the dishonesty required to ignore these scriptures, and the others dealing with homosexuality, while proclaiming to believe in the Word of God as being inspired by God's Spirit! The Catholic Church, however, remains faithful to this Holy Word: "Basing itself on Sacred Scripture, which presents homosexual acts as acts of grave depravity, tradition has always declared that 'homosexual acts are intrinsically disordered.' They are contrary to the natural law. They close the sexual act to the gift of life. They do not proceed from a genuine affective and sexual complementarity. Under no circumstances can they be approved." (Catechism of the Catholic Church, 2357). Like the Episcopal church in this country, the ELCA has decided to genuflect before the world. But as Maritain says, "...the Church is of God, not of the world. And we have to choose to be friends of the world or friends of God. 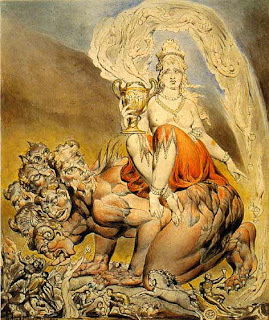 Because the world is not only created nature as God made it, but this very nature insofar as crowned with the triple diadem of the evil desires of human Liberty - Pride at being supremely self-sufficient; Intoxication with knowledge, not for the sake of truth but for power and possession; Intoxication in being overcome and torn by pleasure. 'Do not love the world or the things in the world.' 'If anyone loves the world, the love of the Father is not in him. For all that seduces in the world - the Lust of the flesh, the Lust of the eyes, and the Pride of life - is not of the Father but is of the world. And the world will pass away, and the lust of it.' (1 John 2: 15-17)." (The Peasant of the Garonne, pp. 34-35). The Evangelical Lutheran Church of America has decided to commit spiritual adultery. But the Word of God warns, "Adulterers, do you not know that friendship with the world is enmity with God? Therefore, whoever wishes to be a friend of the world makes himself an enemy of God." (James 4: 4). Pray for these lost souls. President Obama, who always seems to be calling for "reason, calm and dialogue," should follow his own advice. On Thursday, Obama took to conservative radio to accuse Republicans of a vast right wing conspiracy to kill health care reform and to undermine the Democratic Congress. Appearing on the Michael Smerconish show, Obama said, "I think early on, a decision was made by the Republican leadership that said, 'Look, let's not give him a victory, maybe we can have a replay of 1993, '94, when Clinton came in, he failed on health care and then we got the majority.' And I think there are some folks who are taking a page out of that playbook." This isn't the first time the president has attempted to demonize his opponents. Just recently he went on record as saying that Americans who disapprove of homosexuality are clinging to worn arguments and old attitudes. Clearly no one has ever gifted Obama with a copy of Dale Carnegie's best-selling book. Wee weed up? Does anyone even know what that means? The American Heritage Dictionary defines the word “wee” thusly: “1. Very small; tiny. 2. A tiny bit.” And the word “weed” may be used as slang for marijuana. Is Obama suggesting that everybody in Washington gets high on Mary Jane as August drifts into September? This would explain much. Have another hit and dismiss any and all reality. Obama: "We are God's partners in matters of life and death." Is there really any doubt that the Obama administration is doing its best to create a Moloch State where matters of "life and death" are determined by a "death panel"? His remark is absolutely chilling. Related reading here. "Having abandoned the God of love, the Supreme Creator, 21st-century man is now ready to worship himself and to usurp the divine powers of creation and destruction. In the words of Dr. Edmund Leach of King's College at Cambridge: 'The scientist can now play God in his role as wonder-worker, but can he - and should he - also play God as moral arbiter?...There can be no source for these moral judgments except the scientist himself. In traditional religion, morality was held to derive from God, but God was only credited with the authority to establish and enforce moral laws because He was also credited with supernatural powers of creation and destruction. Those powers have now been usurped by man, and he must take on the moral responsibility that goes with them' (Edmund Leach, "We Scientists Have the Right to Play God," The Saturday Evening Post, November 16, 1968, p. 16). The following statement was posted at the website of the Saint Benedict Center cult (Richmond, New Hampshire): "There are those who consider us at Catholicism.org truculent for wishing to convert our nation to the true faith. Such talk nowadays is not exactly au courant. Neither does it resonate sympathetic vibrations with the ascendancy of the liberal Comintern whose manual dictates public discourse. But we philosophers tend to transcend all that hokum. (Heck, we don’t even watch Oprah!) Hence, we occasionally have to drink the hemlock." "Catholics, in their ecumenical work, must assuredly be concerned for their separated brethren, praying for them, keeping them informed about the Church, making the first approaches toward them. But their primary duty is to make a careful and honest appraisal of whatever needs to be done or renewed in the Catholic household itself, in order that its life may bear witness more clearly and faithfully to the teachings and institutions which have come to it from Christ through the apostles. 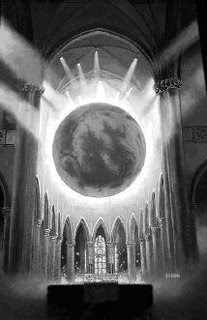 For although the Catholic Church has been endowed with all divinely revealed truth and with all means of grace, yet its members fail to live by them with all the fervor they should, so that the radiance of the Church's image is less clear in the eyes of our separated brethren and of the world at large, and the growth of God's kingdom is delayed. All Catholics must therefore aim at Christian perfection (cf. Jas 1: 4; Rm 12: 1-2), and, each according to his station, play his part that the Church may daily be more purified and renewed. For the Church must bear in her own body the humility and dying of Jesus (cf. 2 Cor 4: 10; Phil 2: 5-8), against the day when Christ will present her to himself in all her glory without spot or wrinkle (cf. Eph 5: 27). (Unitatis Redintegratio, No. 4). Put simply: If we want to convert others to the fullness of truth which is found in the Catholic Church, we must first see to our own conversion. If we are not living what we preach or at least making a sincere effort to do so, how can we expect others to be attracted to our message? * See here and visit Russell Provost's Blog SBC Watch to read what SBC cultists have had to say about other Christian communities. 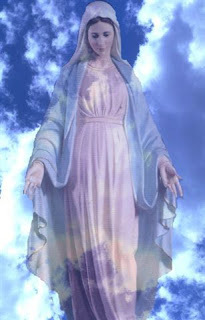 On December 3, 1986, at Dallas, Texas, Our Lady said to Fr. Gobbi of the Marian Movement of Priests: "There are three wounds, in this country of yours, which are causing pain to my motherly Heart and making it bleed. The first wound is caused by apostasy, which is spreading, because of the errors that are being taught and promoted more and more even in Catholic schools, and which are leading an immense number of my poor children to separate themselves from the true faith. The responsibility for this grave situation rests above all with those who have consecrated themselves to God because, having been seduced by the spirit of pride, they continue on their way, despite my motherly admonitions and the directives given by the Magisterium of the Church. You, my beloved sons, are to be my remedy for this illness, by preaching more and more the truth which Jesus has taught you and which the Pope and the bishops united with him are still presenting today to everyone with clarity and courage. You must oppose anyone who teaches doctrines which are different, and, above all, you must speak openly to all the faithful of the grave danger, which they are encountering today, of swerving from the true faith in Jesus and in his Gospel. Recite often the profession of faith, composed by the first of my beloved sons, Pope Paul VI, now up here with me, as he foresaw these difficult moments. The second wound is caused by the disunity that has entered into the Church which exists in your countries. How it makes the Heart of Jesus and my motherly Heart suffer to see that many bishops, priests, religious and faithful are no longer united with - and are even openly opposing - the Pope, whom Jesus has set up as the foundation of his Church. This division is becoming daily more extensive and deeper, and soon it will become even open and proclaimed. How much pain I feel in seeing that often the greatest supporters of this rebellion are those who have consecrated themselves to God and have vowed to follow Jesus along the road of humility, of poverty, of chastity and of obedience. You, my beloved sons, are to be my remedy for this deep wound by being ever more united with the Pope, by helping your bishops to be united with him, through prayer, love and your good example, and by leading all the faithful to this unity. The third wound is caused by the infidelity that has entered into the life of many children of the Church, who no longer follow the commandments of God and the teachings given by Jesus in his Gospel. Thus they walk along the wrong road of evil and of sin. Sin is no longer recognized as an evil. Often justification is made for even the gravest sins against nature, such as abortion and homosexuality. Sins are no longer confessed. To what a grave state of sickness have you now come! If you accept this motherly invitation of mine, you will then be the gift of love which my Immaculate Heart is offering today to the Church and to all of humanity which is living in this great country of yours. You will thus become my remedy for your illnesses. You are the instruments of my peace...."
Is there really any doubt that the apostasy is spreading everywhere? Sins against nature (such as homosexual acts which cry to Heaven for vengeance - Catechism of the Catholic Church, 1867 - are being justified even in many churches which profess to be Christian (see here for example). The New Age movement has made inroads into the Church. ". . . if men do not repent and better themselves, the Father will inflict a terrible punishment on all humanity. It will be a punishment greater than the deluge, such as one will never have seen before. Fire will fall from the sky and will wipe out a great part of humanity, the good as well as the bad, sparing neither priests nor faithful. The survivors will find themselves so desolate that they will envy the dead. The only arms which will remain for you will be the Rosary and the Sign left by my Son. Each day recite the prayers of the Rosary. With the Rosary, pray for the Pope, the bishops and the priests." "The work of the devil will infiltrate even into the Church in such a way that one will see cardinals opposing cardinals, bishops against other bishops. The priests who venerate me will be scorned and opposed by their confreres (other priests). Churches and altars will be sacked. The Church will be full of those who accept compromises and the demon will press many priests and consecrated souls to leave the service of the Lord." "The demon will be especially implacable against the souls consecrated to God. The thought of the loss of so many souls is the cause of my sadness. If sins increase in number and gravity, there will be no longer pardon for them." ". . . Pray very much the prayers of the Rosary. I alone am able still to save you from the calamities which approach. Those who place their confidence in me will be saved." Does C. Joseph Doyle accept the teaching of Vatican II regarding Judaism and the Jewish People? As I mentioned in my previous post, C. Joseph Doyle, Executive Director of the Catholic Action League of Massachusetts, is scheduled to appear as a guest speaker at the 2009 Saint Benedict Center Conference to be held in Richmond, New Hampshire this October. This is disturbing because Mr. Doyle is such a prominent Catholic in the state of Massachusetts and the website of the Massachusetts Catholic Conference, the public-policy arm of the Massachusetts Bishops, links to Mr. Doyle's Catholic Action League. The Saint Benedict Center based out of Richmond, New Hampshire is an anti-Semitic cult which has absolutely no relationship with the Roman Catholic Church. The cult has described the Jewish People as an "anti-Christ people whose damnable nationalism and anti-messianic naturalism oppose the supernatural supranational aims of Christ and His Church" and as a "Faith-less people." Louis Villarrubia, the cult's leader who is also known as "Brother" Andre Marie (remember "Father" Divine? ), has asserted that the Jewish People "undermine public morality" and has minimized the Holocaust. Another cult member, Douglas Bersaw, has openly denied the Holocaust, referring to this horrible crime against humanity as "a fraud." "The Church of Christ discovers her 'bond' with Judaism by 'searching into her own mystery' (Nostra Aetate, No. 4). The Jewish religion is not 'extrinsic' to us, but in a certain way is 'intrinsic' to our own religion. With Judaism, therefore, we have a relationship which we do not have with any other religion." "What happened in his [Christ's] passion cannot be charged against all the Jews without distinction then alive, nor against the Jews of today. Although the Church is the new People of God, the Jews should not be presented as rejected or accursed by God, as if this followed from the Holy Scriptures....Furthermore, in her rejection of every persecution against any man, the Church, mindful of the patrimony she shares with the Jews and moved not by political reasons but by the Gospel's spiritual love, decries hatred, persecutions, displays of anti-semitism, directed against Jews at any time and by anyone." (No. 4). What does C. Joseph Doyle believe? Does he share the anti-Semitic views of the Saint Benedict Center cult? Does he deny the Holocaust? If not, shouldn't he withdraw from any involvement with the Center? Especially since the local Bishop, The Most Reverend. John B. McCormack, has asked the faithful to avoid participating in any of the Center's spiritual activities? If Mr. Doyle insists on speaking at the 2009 Saint Benedict Center Conference, shouldn't the Bishops of Massachusetts remove the link to his website from that of the Massachusetts Catholic Conference website? Father William Most on the tragic errors of Father Leonard Feeney. In giving birth you kept your virginity; in your Dormition you did not leave the world, O Mother of God, but were joined to the source of Life. You conceived the living God and, by your prayers, will deliver our souls from death." (CCC, 966). But we are in a time of apostasy. 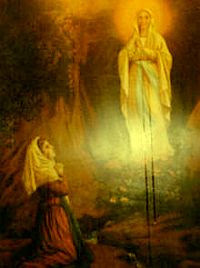 It was Our Lady who told Father Gobbi [back in 1988]: "The hour of the great apostasy has come. What has been foretold in Holy Scripture, in the Second Letter of Saint Paul to the Thessalonians, is now on the point of coming to pass. Satan, my Adversary, with snares and by means of his subtle seduction, has succeeded in spreading errors everywhere, under the form of new and more updated interpretations of the truth, and he has led many to choose with full knowledge - and to live in - sin, in the deceiving conviction that this is no longer an evil, and even that it is a value and a good. The times of the general confusion and of the greatest agitation of spirits has come. Confusion has entered into the souls and the lives of many of my children. This great apostasy is spreading more and more , even through the interior of the Catholic Church. Errors are being taught and spread about, while the fundamental truths of the faith, which the authentic Magisterium of the Church has always taught and energetically defended against any heretical deviation whatsoever, are being denied with impunity. The episcopates are maintaining a strange silence and are no longer reacting. When my Pope speaks with courage and reaffirms with force the truths of the Catholic faith, he is no longer listened to and is even publicly criticized and derided. There is a subtle and diabolical tactic, woven in secrecy by Masonry, which is used today against the Holy Father in order to bring ridicule upon his person and his work and to neutralize his Magisterium.....In these times, in the Catholic Church, there will remain a little remnant who will be faithful to Christ, to the Gospel, and to its entire truth. The little remnant will form a little flock, all guarded in the depths of my Immaculate Heart. This little flock will be made up of those bishops, priests, religious and faithful who will remain strongly united to the Pope, all gathered together in the cenacle of my Immaculate Heart, in an act of unceasing prayer, of continual immolation, of total offering to prepare the painful way for the second and glorious coming of my Son Jesus." There is confusion even in the Church's interior. C. Joseph Doyle is Executive Director of the Catholic Action League of Massachusetts. He has agreed to appear as a guest speaker at the 2009 Saint Benedict Center Conference to be held this October in Richmond, New Hampshire. The Saint Benedict Center, which is not in communion with the Catholic Church and which has no permission from Bishop John McCormack to do any ministry within the Diocese of Manchester, describes Mr. Doyle as "..the media's go-to man whenever traditional Catholic values are threatened in the public arena, appearing for television and radio interviews approximately 150 times a year...C.J....worked in the Massachusetts House of Representatives for many years as an adviser and aide to the late Rep. James Craven...He also served as National Director for William Donohue's Catholic League for Religious and Civil Rights before the Massachusetts CAL [Catholic Action League] was established.."
I am writing to you (and forwarding a copy of this email to my Bishop, The Most Rev. Robert McManus) because it has been brought to my attention that Mr. C. Joseph Doyle, Executive Director of the Catholic Action League of Massachusetts, has agreed to appear as a guest speaker at the 2009 Saint Benedict Center Conference to be held in Richmond, New Hampshire this October. "I write to you in reply to your letter dated May 24, 2007. I share your concern about the ongoing controversy and difficulties with the Saint Benedict Center. As you know, the Saint Benedict Center has no permission or authority to exercise any Ministry on behalf of the Roman Catholic Church in New Hampshire. Bishop McCormack has and will continue to do all that he can to encourage people to refrain from participating in any of the spiritual exercises at the Saint Benedict Center. For my part, I will continue to make it clear that Saint Benedict Center has no affiliation with the Roman Catholic Church in any way. Please know that I will continue to pray for you and all those who are affected by difficulties that have been created by the Saint Benedict Center." I have worked tirelessly to expose the anti-Semitism and Holocaust denial of the Saint Benedict Center in Richmond, New Hampshire. Some background may be found in this article: http://splcenter.org/intel/intelreport/article.jsp?aid=782 I am well-aware that the Southern Poverty Law Center is not without its own problems. But in this matter (as the Diocese of Manchester will attest to), they got it right. The news-magazine Chronicle dedicated an episode back in 2007 to the whole controversy surrounding the Center. Since this organization is not in communion with the Catholic Church, has absolutely no permission to do any ministry whatsoever and engages in anti-Semitism and Holocaust-denial, I think it inappropriate that someone of Mr. Doyle's stature should associate himself with this entity. It will only serve as a source of scandal to many of the faithful and reflect poorly on the Catholic Church in Massachusetts. It is my hope that Your Eminence will agree. Related reading here, here and here. I sometimes wonder how many Catholics really trust in the Lord Jesus and His words of truth. For example, Our Master told us that, "Whoever believes in me will perform the same works as I do myself, he will perform even greater works, because I am going to the Father" (Jn 14: 12). The commission to carry on His healing work was not given strictly to ministerial priests, but to the common priesthood of the faithful, to "whoever believes" in the Lord Jesus. Let's stop and meditate very carefully on these words since we live in a word-saturated society with information overload. The Lord Jesus, our Creator and Redeemer, assures us that if we believe in Him, we will accomplish even greater works than He performed because He will intercede for us to the Father and because of the corporate dimension of our faith - our works are performed not by one man but by all those who profess Jesus as Lord. Jesus now uses "whoever believes" in Him as an extension of Himself to cure new multitudes of people with His love. We who believe become His hands. It is so easy for us to believe that the gift of healing is reserved only for certain individuals who have received a unique and supernatural call from God to heal others. But God does not have favorites: "..In truth, I see that God shows no partiality . Rather, in every nation whoever fears him and acts uprightly is acceptable to him." (Acts 10: 34, 35). We might argue, "But I'm not worthy." Who is? The Good News is that the Lord Jesus came to save us "while we were still sinners" (Romans 5: 8), and desires to use us with all of our weaknesses, our inadequacies and our impurities. When we acknowledge our own sin, our own weakness, then we rely on the Lord Jesus. For, as St. Paul reminds us, this is the source of supernatural strength: "Therefore, I am content with weaknesses, insults, hardships, persecutions, and constraints, for the sake of Christ; for when I am weak, then I am strong." (2 Corinthians 12: 10). So enough excuses. To truly have faith in God means that we trust that the Father's will for us is much more wonderful than anything we can imagine. Reflect on John 10: 10. When I was 18 years old, I nearly died. My appendix ruptured and I had a temperature of 107. But before toxins could spread throughout my body, my mother - a truly amazing woman with many charismatic gifts - prayed over me. There was the sensation of heat. The rupture mysteriously sealed - something doctors were at a loss to understand. But we knew what had happened. "Why, it's nothing short of miraculous," one doctor quipped. "I know," I responded. Our God is a God of miracles. Senate Bill Will Not Address End-of-Life Care: Will President Obama now apologize to critics of H.R. 3200? Senator Charles E. Grassley of Iowa said that the Senate Finance Committee "dropped end-of-life provisions from consideration entirely because of the way they could be misinterpreted and implemented incorrectly." Could be? It gets better. The Iowa Senator then admits that the House legislation was "so poorly cobbled together that it will have all kinds of unintended consequences." President Obama, who always seems to be calling for "reason, calm and dialogue," should follow his own advice. Speaking to a crowd of about 1,800 at Portsmouth High School in New Hampshire, Obama was quoted as having said that opponents of H.R. 3200 [and most especially those concerned over Section 1233] "will try to scare the heck out of folks and they'll create bogeymen out there that just aren't real." But this bogeyman was real. Which is why the Senate Finance Committee is dropping the end-of-life provisions. This isn't the first time the president has attempted to demonize his opponents. Just recently he went on record as saying that Americans who disapprove of homosexuality are clinging to "worn arguments and old attitudes." Clearly no one has ever gifted Obama with a copy of Dale Carnegie's best-selling book. Is President Obama tenacious or stubborn? Is he interested in creating real and meaningful dialogue or demonizing his opponents? His track record, thus far, provides us with an answer. See HR 3200 sec. 1233 (hhh)(1); Sec. 1233 (hhh)(3)(B)(1), above. See HR 3200 sec. 1233 (hhh)(1)(E), above. Related reading here and here. It was President Obama who said: "The chronically ill and those toward the end of their lives are accounting for potentially 80 percent of the total health-care bill out here." See here. Critics of the president's health-care bill don't have to create "bogeymen." Not when they have statements like the one above. "The most common characteristic of all police states is intimidation by surveillance. 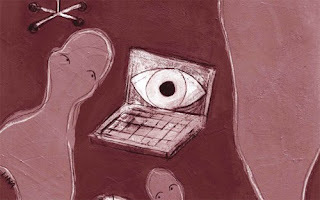 Citizens know they are being watched and overheard. Their mail is being examined. Their homes can be invaded." - Vance Packard, American journalist, social critic and author. Read this article. Is this an attempt at intimidation by surveillance? An attempt to stifle dissent from White House policies? If not, what was this all about? There was a scholar of the law who stood up to test him and said, "Teacher, what must I do to inherit eternal life?" Jesus said to him, "What is written in the law? How do you read it?" He said in reply, "You shall love the Lord, your God, with all your heart, with all your being, with all your strength, and with all your mind, and your neighbor as yourself." He replied to him, "You have answered correctly; do this and you will live." But because he wished to justify himself, he said to Jesus, "And who is my neighbor?" Jesus replied, "A man fell victim to robbers as he went down from Jerusalem to Jericho. They stripped and beat him and went off leaving him half-dead. A priest happened to be going down that road, but when he saw him, he passed by on the opposite side. Likewise a Levite came to the place, and when he saw him, he passed by on the opposite side. But a Samaritan traveler who came upon him was moved with compassion at the sight. He approached the victim, poured oil and wine over his wounds and bandaged them. Then he lifted him up on his own animal, took him to an inn and cared for him. The next day he took out two silver coins and gave them to the innkeeper with the instruction, 'Take care of him. If you spend more than what I have given you, I shall repay you on my way back.' Which of these three, in your opinion, was neighbor to the robbers' victim?" He answered, "The one who treated him with mercy." Jesus said to him, "Go and do likewise." (Luke 10: 25-37). 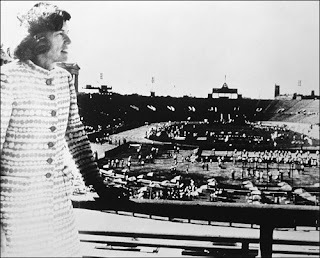 Eunice Kennedy Shriver was a neighbor to many. May the same be said of us. "Without a doubt, handicapped people, in revealing the radical frailty of the human condition, are an expression of the drama of suffering and, in our world eager for hedonism and seduced by ephemeral and deceitful beauty, their difficulties are often perceived as a scandal and a provocation and their problems as a burden that must be eliminated or rapidly resolved...They, however, are living images of the crucified Son. They reveal the mysterious beauty of the One who emptied himself for us and became obedient unto death.." (Pope John Paul II). "It should be evident that the sharing of economic wealth will not make us brothers, but becoming brothers will make us share our economic wealth. The early Christians were not one because they pooled their wealth; they pooled their wealth because they were Christians. The rich young man went to Our Lord asking: 'What shall I do?' The Socialist asks: 'What will society do?' It is man who makes society and not society that makes man. That is why all the economic schemes from Marx's communism to the latest form of democratic collectivism will never unite men until they have first learned to burn, purge, and cut away their own selfishness. The 'one world' will not come at the end of an ascending line of progress, but as the Resurrection from a tomb of a thousand crucified egotisms. The reason Christianity lives and Socialist theories perish is that Socialism makes no provision for getting rid of selfishness, but Our Lord did: 'Sell all whatever thou hast and give to the poor' (Luke 18: 22). The only place in the world where communism works is in a convent, for there the basis of having everything in common is that no one wants anything. Communism has not worked in Moscow, but it does work in a monastery. Law is for moderation; love is generous: 'And if a man will contend with thee in judgment and take away thy coat, let go thy cloak also unto him. And whosoever will force thee one mile, go with him another two' (Matthew 5: 40-41). Natural generosity is limited by circumstances and relations within our own circle and, outside of these, is often vindictive. Love ignores all limits, by forgiveness. 'Lord, how often shall my brother offend against me, and I forgive him? Till seven times?....I say not to thee, till seven times; but till seventy times seven times' (Matthew 18: 21-22). By moving from a little metaphor to a big one, Our Lord implies that precision in forgiveness is impossible. Leave it to love, and it is not likely to err on the lower side. The love of which we speak is not natural, but supernatural. By faith and good works under God's grace, nourished by prayer and the Sacraments, we are led into intimate union with Christ - but this love we have toward Him must redound to all His creatures." And so we can now understand why Pope John Paul II called Maximilian Kolbe a prophet pointing toward the Civilization of Love. The saintly friar, his body racked with pain brought on by tuberculosis, saw to all the spiritual needs of those who were, like him, dying a slow death in the death camp. He knew hunger as few ever will. But would give his small ration to others and would do without. In the end, he offered to take the place of a young man who had a wife and two children and who had been sentenced to death by starvation. I'll say it again. When the economy of the West collapses, we will be forced to make a choice between supernatural love and a generosity which knows no limits and the greed and egotism which brought on the crisis to begin with. 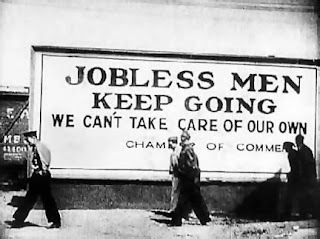 The photograph above was taken during The Great Depression. It brings to mind the words which Cain spoke to God after he murdered his brother: "Am I my brother's keeper?" After being attacked by groups ranging from the Southern Poverty Law Center to Media Matters for relentlessly calling on Barack Obama to prove his eligibility for the office of the presidency, CNN's Lou Dobbs wasn't backing off on either his syndicated radio or his television program today. Once again, he renewed his calls for Obama to produce his long-form birth certificate that would settle doubts about where he was born and offered that the president's actions could actually be "illegal." Dobbs took on the special-interest groups demanding that CNN shut him up. "The left is trying to silence their opponents and their competitors in the public marketplace of ideas," he said on his radio show. "One issue in which the ethnocentric issue groups have been trying to silence me is on the issue of illegal immigration. Many of those, if you will, have migrated to me here recently because I, even though I said I believe the president is a citizen of the United States, I don't understand why he shouldn't produce a birth certificate. My God, you're talking about the third rail of American journalism, baby! That's it. I'm not going to back off." Read the WND article here. More proof that internment camps are being prepared? Bob Unruh at WorldNetDaily is reporting that, "An ad campaign featured on a U.S. Army website seeking those who would be interested in being an 'Internment/Resettlement' specialist is raising alarms across the country, generating concerns that there is some truth in those theories about domestic detention camps, a roundup of dissidents and a crackdown on 'threatening' conservatives. 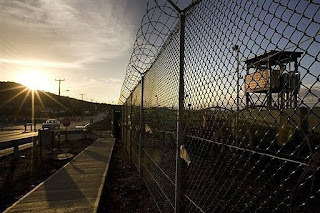 Internment/Resettlement (I/R) Specialists in the Army are primarily responsible for day-to-day operations in a military confinement/correctional facility or detention/internment facility. I/R Specialists provide rehabilitative, health, welfare, and security to U.S. military prisoners within a confinement or correctional facility; conduct inspections; prepare written reports; and coordinate activities of prisoners/internees and staff personnel. The campaign follows by only weeks a report from the U.S. Department of Homeland Security warning about 'right-wing extremists' who could pose a danger to the country – including those who support third-party political candidates, oppose abortion and would prefer to have the U.S. immigration laws already on the books enforced." See one of my previous posts here. 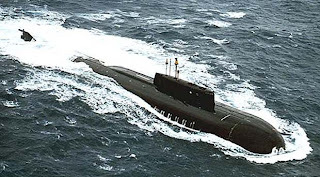 "They [the Soviets] intend...to induce the Americans to adopt their own 'restructuring' and convergence of the Soviet and American systems using to this end the fear of nuclear conflict...Convergence will be accompanied by blood baths and political re-education camps in Western Europe and the United States. The Soviet Strategists are counting on an economic depression in the United States and intend to introduce their reformed model of socialism with a human face as an alternative to the American system during the depression." (Anatoliy Golitsyn, The Perestroika Deception, 1990). For more on Anatoliy Golitsyn, an intelligence officer who defected to the West and warned of long-range Soviet plans, read here. 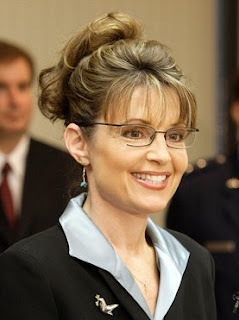 "...all of us here at the policy-making level have had experience with directives...from the White House.... The substance of them is that we shall use our grant-making power so as to alter our life in the United States that we can be comfortably merged with the Soviet Union."